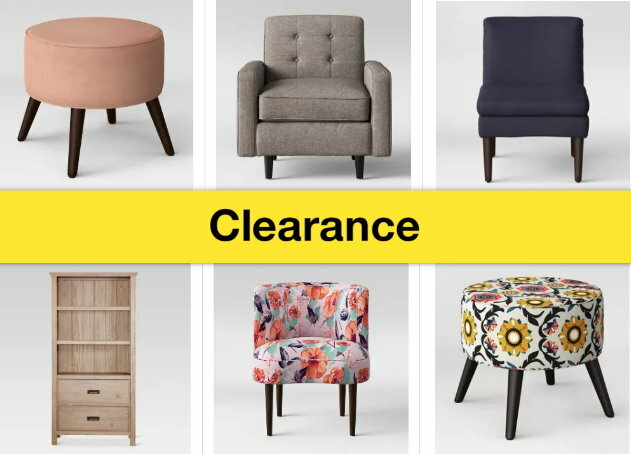 There’s quite a bit of furniture clearance happening on Target.com right now with savings of up to 50% off. Even better, thru Saturday, February 23rd, you can get an extra 10% Off. No code is needed, just choose from the qualifying items and once you head to checkout the extra discount will automatically apply. Choose from over 100 items including TV Stands, accent cabinets, bookcases, chairs and more. Some items are also available in several different colors as well. 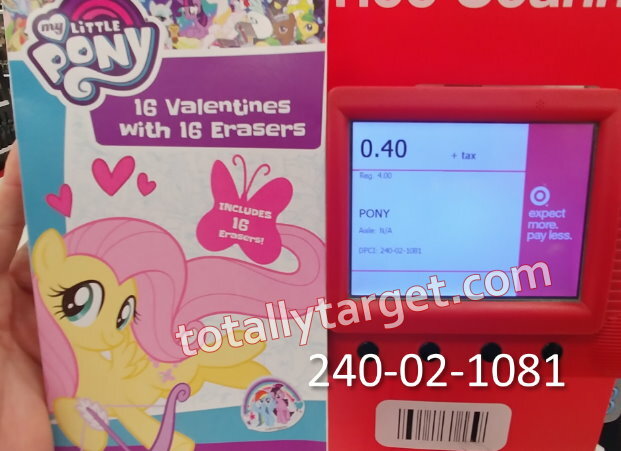 Valentine’s Exchange cards that can be used next year, like these 16 count My Little Pony ones with 16 erasers that will be .40 if your store is at 90. 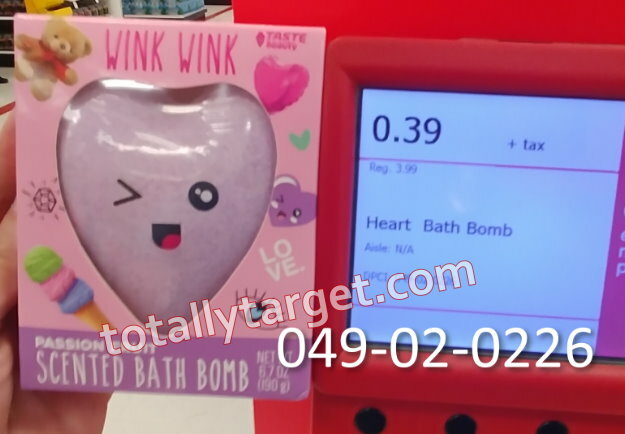 These super cute scented heart-shaped bath bombs will be just .39 if your store is at 90. 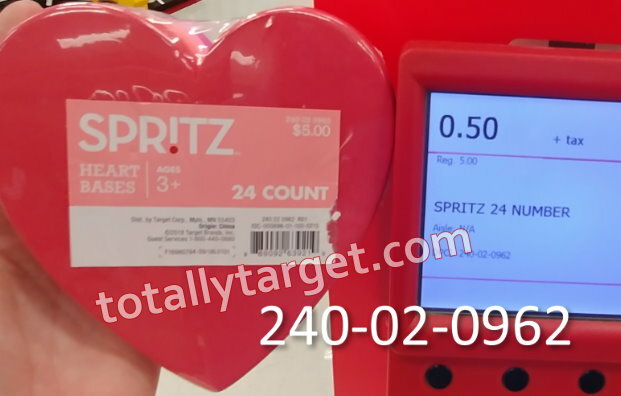 Quite a few Sprtiz items like these 24 count hearts that will be just .50 each if your store is at 90%. 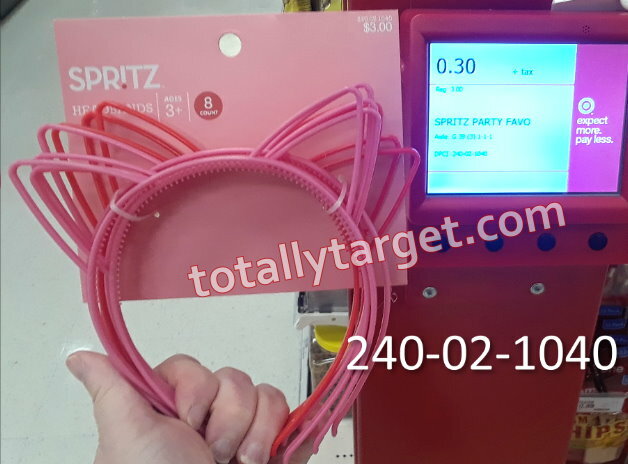 I also found these fun Sprtiz cat-eared headband 8 count sets in pink & red that will be just .30 if your store is at 90. These could be re-purposed for all kinds of things, and would also make cute items for a Hello Kitty themed party any time of the year. Even though my non-perishables weren’t marked at 90, my candy was clearly marked at 70%. With Easter rapidly approaching, watch for candy that could be used in Easter baskets to make for some nice savings. Also watch for items like these Dove Hearts that would also be great for engagement parties, baby showers, or even treat bag fillers for a little girls’ birthday party. If your store didn’t drop today, it is likely it will happen tomorrow and for a much larger percentage of stores. But always scan to be sure no matter what your signs say. It is possible for signs not to get switched out and usually it’s only a 2-3 day gap between 70 to 90 so keep a close eye on it. Once you hit 90, it will move fast and Target will be looking to clear the stuff off the floors. Don’t forget you can still check in Bullseye’s Playground and in other departments for holiday items. 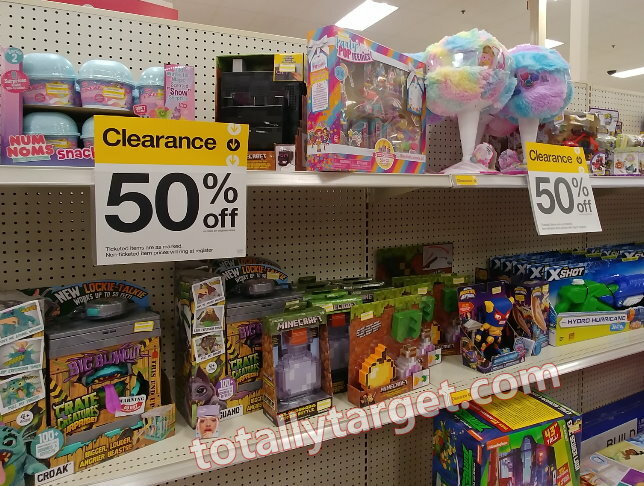 While most of it will have been moved back to the holiday clearance section, you never know what may get left behind and it might be worth a quick peek around the store. 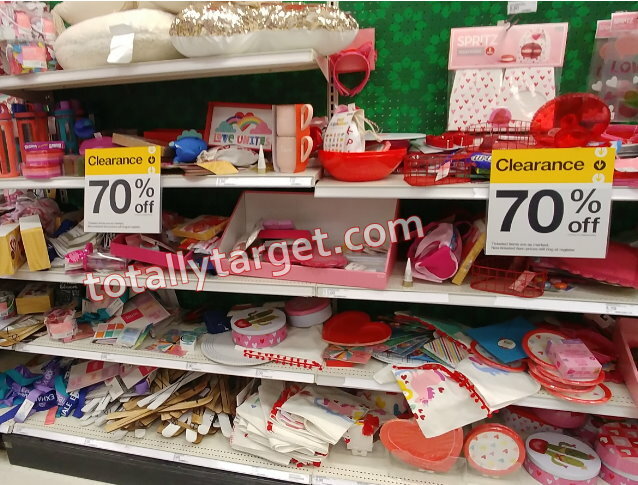 Valentine’s Day clearance should now be at 70% for some of you, and if you didn’t find it today there is a good chance you will find it tomorrow. It is always a good idea to check the prices at the scanner even if your signs say 50. Some stores just don’t manage to get all or any proper signage up and you will never know if you just walk away. 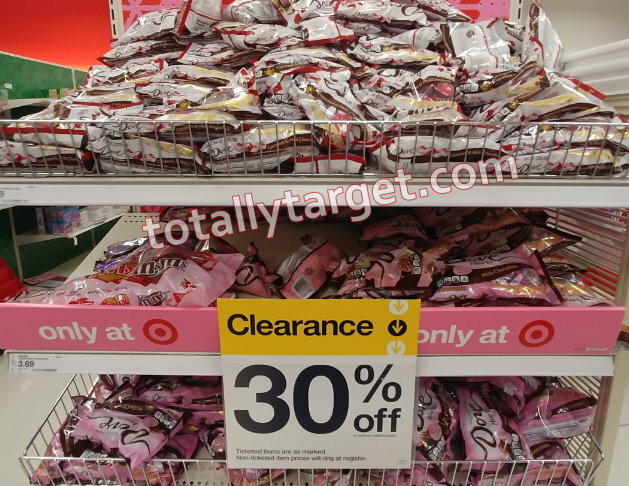 Most of you should find candy & food at 50% off today too. Also be sure and look for Valentine’s Day themed snacks that you can use in kids lunches. My store had quite a bit of candy too, including Valentine’s Day themed jelly beans that could certainly be held back and used for Easter baskets. 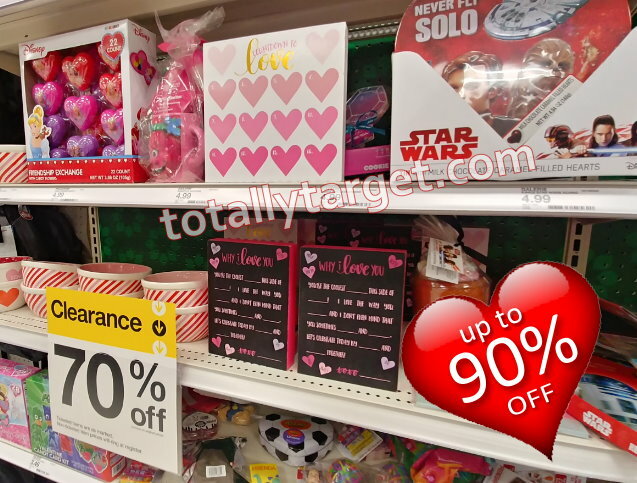 Valentine’s Day clearance is a great way to stock up on non-perishable things you might need for next year. For example there were many class-exchange card kits this year with no candy in them that will make for cheap Valentines next year. The basic kits will be as low as .75 if your store is at 70, regularly $2.50. 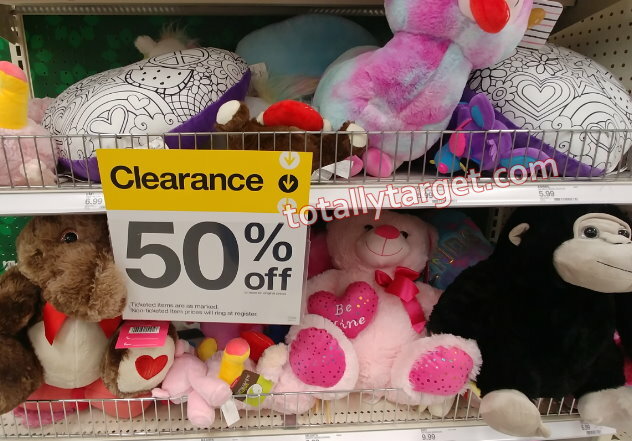 You can also check the Bullseye’s Playground section for Valentine’s Day clearance too for small items to tuck away for next year or to use as Easter Basket fillers. But keep in mind some stores may have already moved these items to the holiday section. As far as a next drop to 90% Off- it usually stays at 70 only a couple of days, so we could see it drop to 90 as early as Wednesday, February 20th. But remember, there is no set schedule and stores can differ – so keep a close eye! 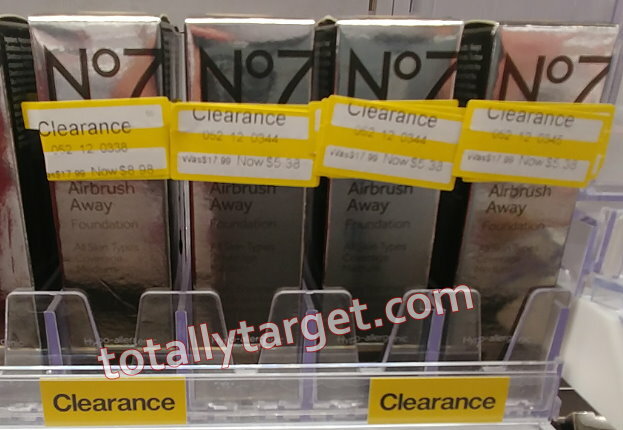 Happy clearance hunting folks! 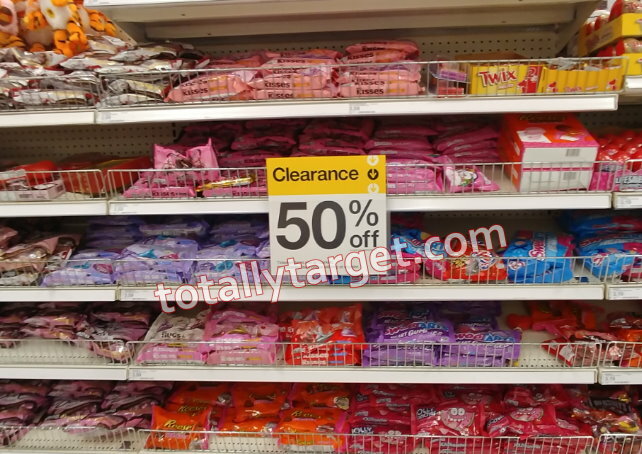 If you are headed to Target today, you should find Valentine’s Day items up to 50% Off. Decorative items, craft kits, party supplies, clothing and most other non-perishables should be at 50% Off. 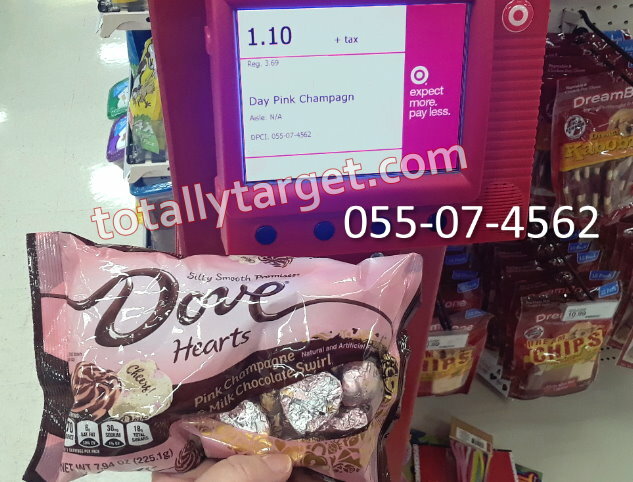 Remember – the majority of the Valentine’s clearance will not be stickered- so become best friends with that price check scanner and scan scan scan! Candy & most food will likely be 30% off for most of you to start. We will likely see another drop on Sunday 2/17, when candy and food usually drops to 50%. This is a great opportunity to grab items that could make cute Easter basket stuffers, like mini craft kits, play beauty kits, and more. Some of these items could also make for great stocking stuffers or even be put in the gift closet for any time during the year. It’s also a great way to get a discount on non-perishables for next year like card kits, decorations, and more. And, watch for additional items that can be either be set aside for next year, or re-purposed for birthdays and other occasions, like stuffed animals or DIY Craft pillows. 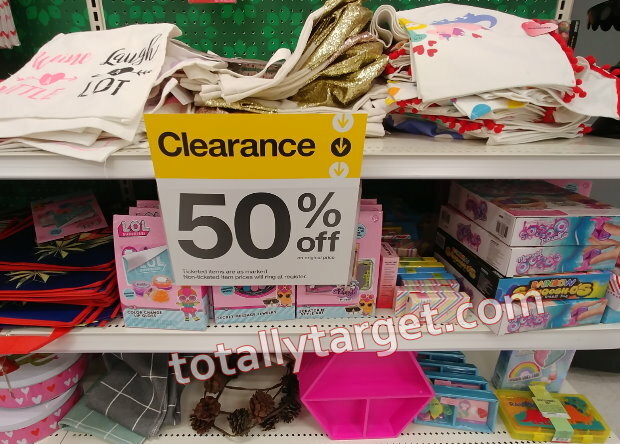 While some stores will have gathered up everything and brought it to the holiday section, it can’t take a hurt to look in other departments like stationery, toys, housewares for items that may have been left behind. 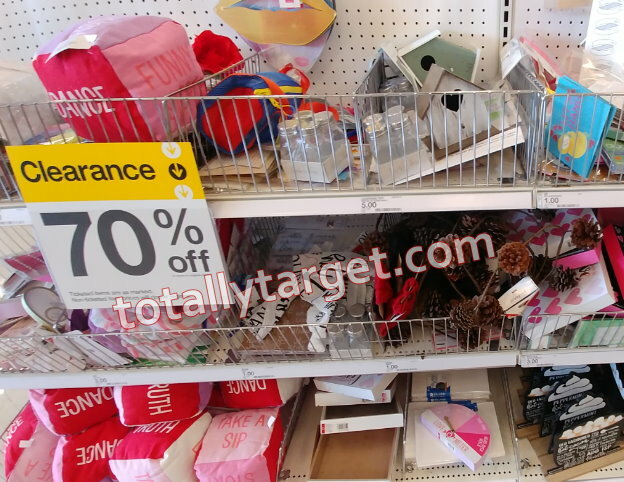 Not everything will have been dragged back to the holiday section, so be sure and take a good look around your store. We should see the next drop on the 17th, when non-perishables should go to 70% and candy & some food should drop to 50%. But stores can differ- so it’s something to keep a close eye on in the days to come! Happy hunting and I hope you find some great stuff! 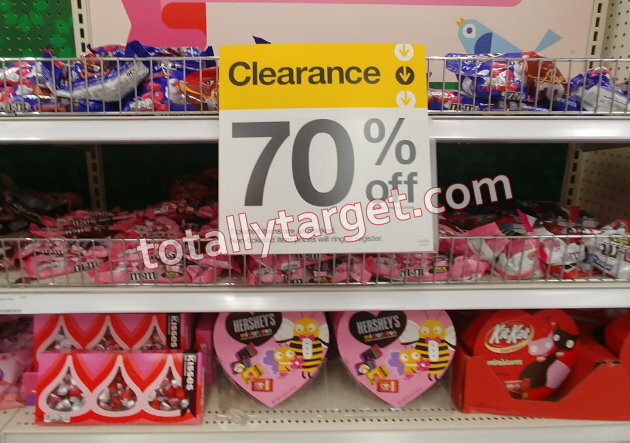 Happy Valentine’s Day & Get Ready for Clearance! 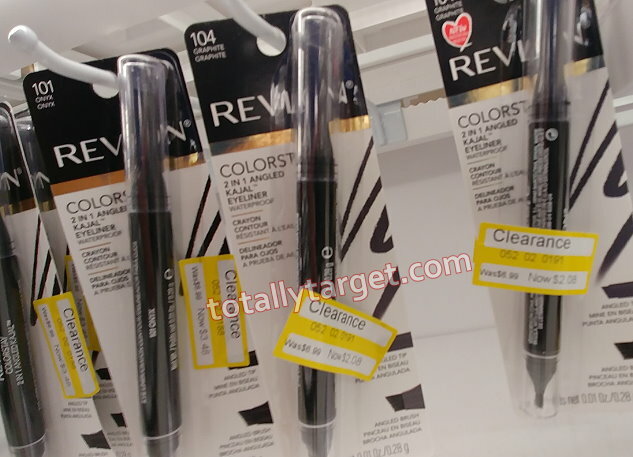 Clearance, Holiday Clearance Comments Off on Happy Valentine’s Day & Get Ready for Clearance! 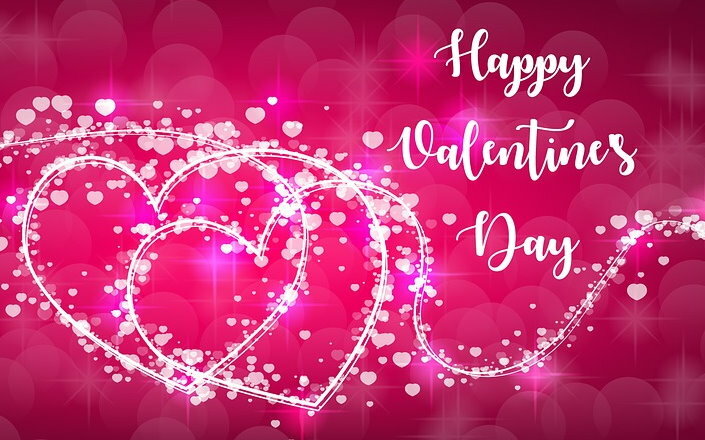 Hope you all are enjoying a Happy Valentine’s Day! Also just a reminder that tomorrow (2/15) is the day when you should see most Valentine’s Day items go to 50% Off except Candy which should be at 30% Off. Some food items typically lag at 30% Off to start with too. The Valentine’s Day items in Bullseye’s Playground should drop to 50 as well. It’s a great way to stock up on non-perishables for next year- and you may even find a couple goodies you can tuck into this year’s Easter Baskets too! 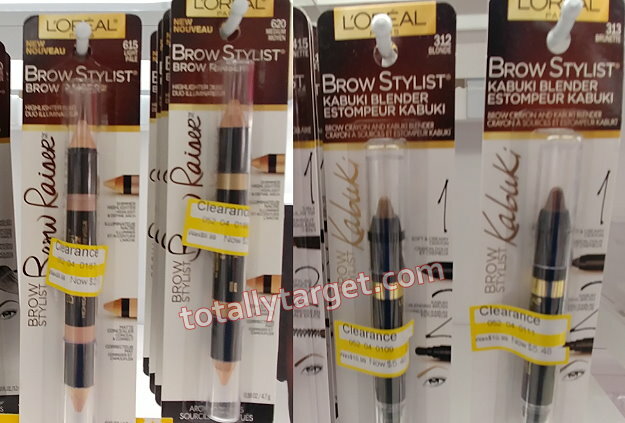 If you got that nice super high-value insert coupon in your 1-20 RMNE insert to save $3 off one L’Oreal Cosmetic face product, be sure and clip it & take it to Target with you. 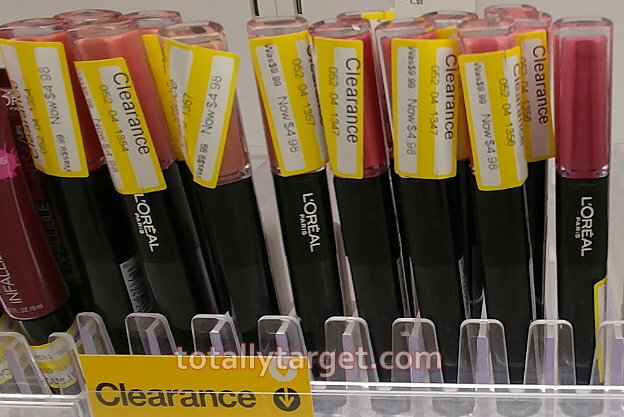 As many of you may have noticed – there is quite a lot of cosmetics clearance going on and while it is starting to wind down – L’Oreal products are still being found as much as 70% Off. 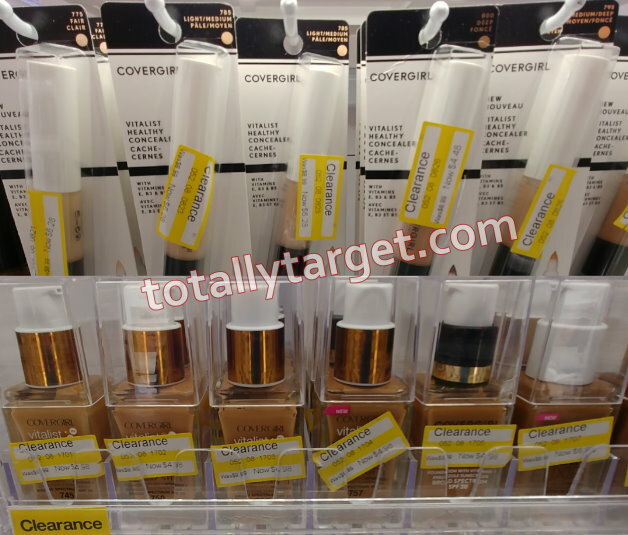 This includes many face products including concealers, foundation, powders and more as low as $3.28. After this nice coupon they would be as low as .28 cents. Be sure and scope out the aisles and any nearby endcaps to see what you can find. 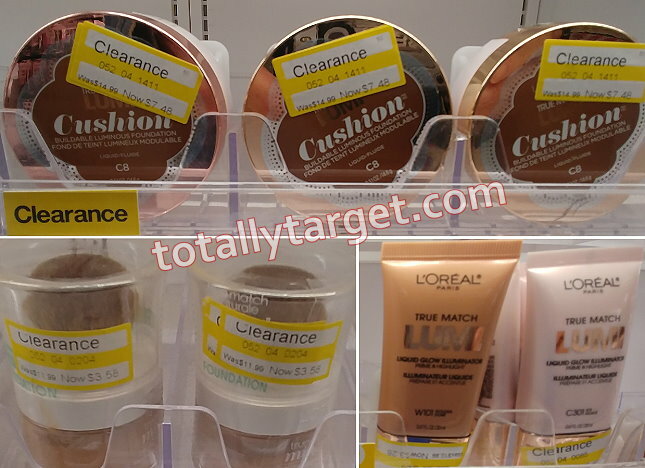 There are other L’Oreal cosmetics items on clearance that we have coupons for too, so you may want to clip the following…. 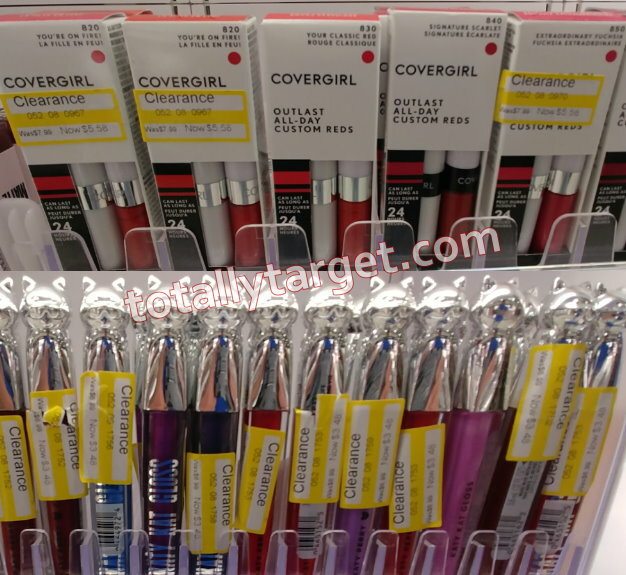 There’s also been quite a bit of clearance on CoverGirl cosmetics as well. They seem to be dropping slower over recent weeks, so you may have more luck finding stock for this brand now up to 70% off and as low as $2.08. 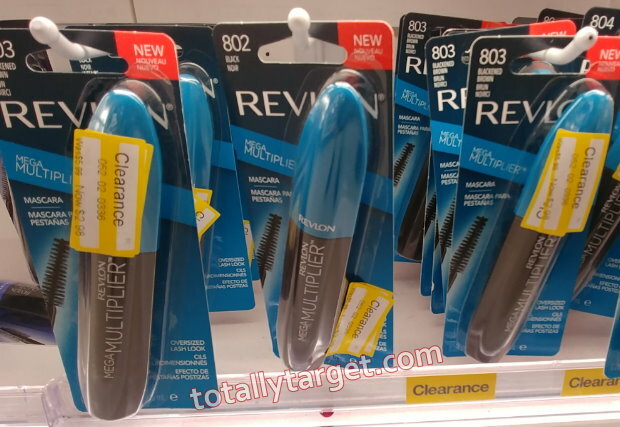 After a coupon, they will be as low as .08 cents, and there’s several coupons to clip and take with you…. Each shade of an item carries its own DPCI # so there are just way too many to list in this post. 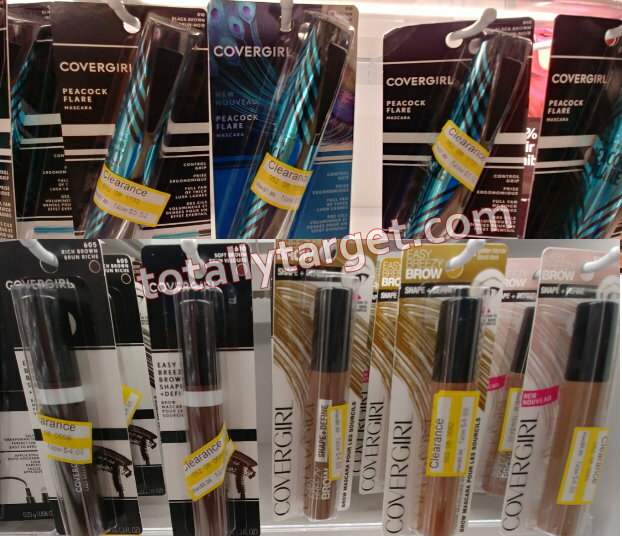 But here’s a few from CoverGirl & L’Oreal that may at least give you an idea of the clearance in your area. You can enter them into Brickseek with your zip – and see what’s in your local store, just keep in mind that Brickseek is not always accurate. 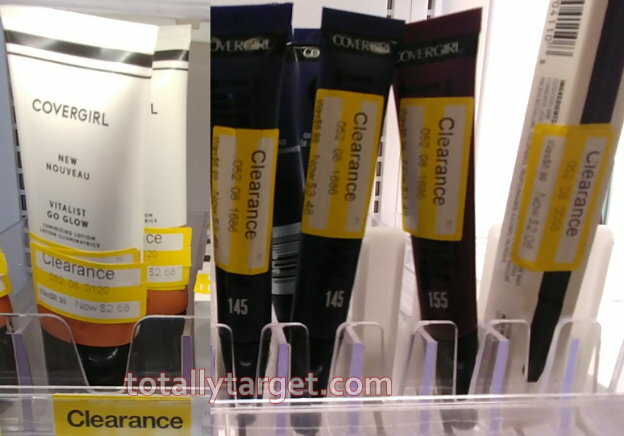 While clearance on other brands is getting more sparse – there are other items to look for as well. You can check out my post HERE for more pics and matchups on what else has been spotted. 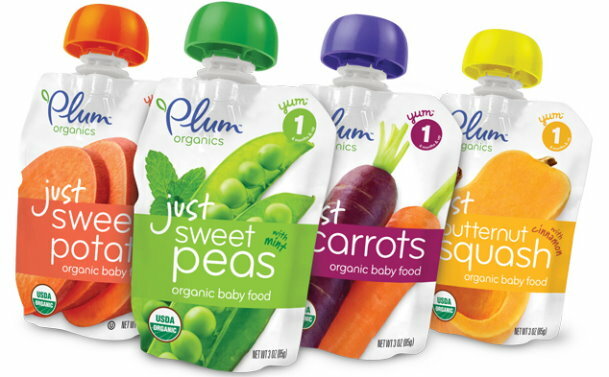 If you have and use the ibotta app, watch for a new rebate offer to earn cash back wyb Plum Organics baby food. Prices start at $1.19 to make for a nice deal…. But another thing to think about is that your Plum Organics purchase will count towards the spending requirement for our in-ad Target Coupon for a FREE $20 Gift Card wyb $100+ select Baby Dept. purchase x1/19. (Or find in the Target app). 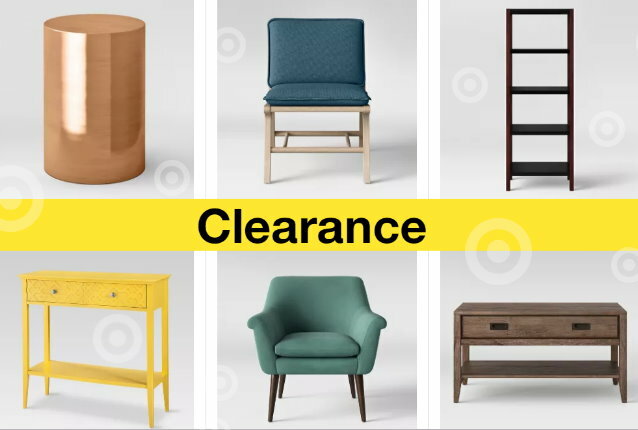 There’s quite a bit of furniture clearance happening on Target.com right now with savings of up to 50% off. Choose from over 50 items including TV Stands, accent cabinets, bookcases, chairs and more. Some items are also available in several different colors as well. 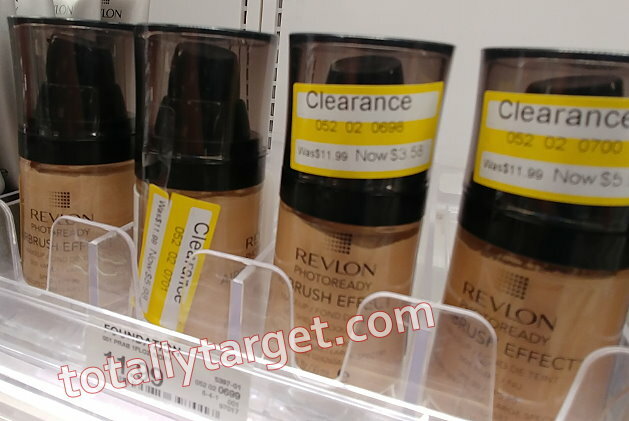 There are LOTS of nice savings to be had on cosmetics at Target lately thanks to coupons and a LOT of clearance in that department. 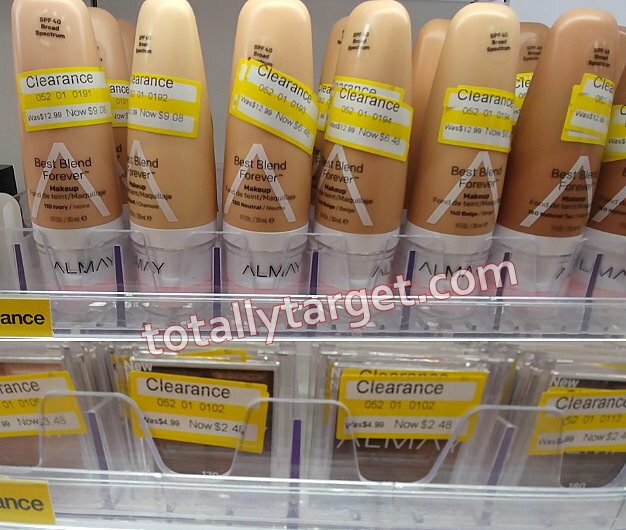 Be sure and scope out not only the clearance endcaps near the makeup department, but in the aisles themselves for finds on lots of different brands up to 50% Off. You can increase your savings even more by using coupons to make for some very big discounts. There’s just SO much it would make for a super long list to add in all the DPCI’s & products included, so here’s just a few things to watch for….